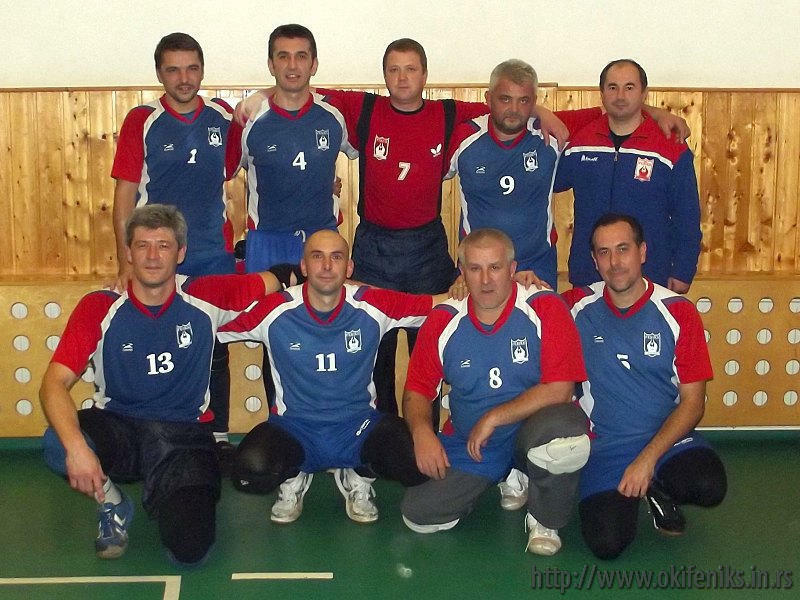 We played the last three games of Hungarian league in Vác near Budapest. This year we made one more step up and returned home with a silver medal. Our play was very good and so we made the two new victories, and in the end of the day we suffered the only defeat. 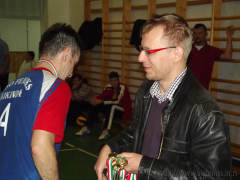 Well-known referee Mr József Benkő did a great job in all seven games. 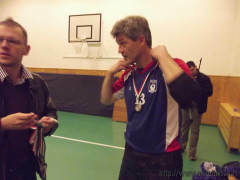 Inhabitants of Kikinda had the chance to meet him at their own town tournament. He had uniform criteria, was always up to the task, and as usual - he was without the help of another referee. There happened just a few contentious situations that he managed to solve with a smile, without any increase of tensions. In the end, the authority of ECVD certified referee is well respected. 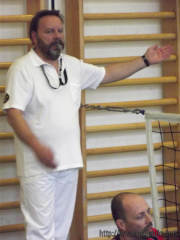 The second part of the refereeing collegium at the scorer's table was Mrs. Gáborné Schödl. She worked diligently, responsibly, quietly and without errors. Everything was just as it should be. We watched this match with a slow warm-up for our game. Both teams played very well and it was clear that we will have a tough job. Avoiding us to dream our big dreams, Mourinho has led us step by step, set by set, match by match, and here's what it looked like. The match against closest pals from Szeged, who helped us to join this championship, has been mainly routine, with no underestimation. One can not say that it was not a good resistance and we did not play good game, but essentially this was only a warming-up match for the two most serious matches in this league. At least, they should be recognized that their team was prettier! 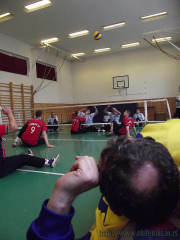 The match against the team from Szombathely, our direct competitor for the second place, was the hardest one. The first set was tight until the very end. In the second we managed to catch up and surpass the huge advantage of an opponent of 9:17 and to triumph at the end. But, in the third set their advantage was even greater, 10:19 ... Ooh! It doesn't happen very often to make it, especially not twice in a row. 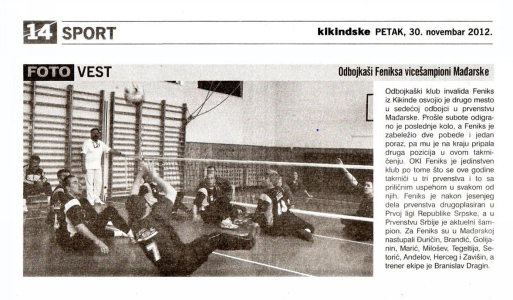 Well, let's say it was our revenge for the defeat in front of the home crowd at Kikinda Cup, three months ago. There is no need to complain to the technique, or about the cameraman, or to the ball that knocked the camera tripod, but with this and the last game we are offering to you all we got. The priority is to play the game and it will always remain so. However, thanks to diligent Anđelov, quantity of videos attachments with our matches increases significantly. That's quite a good reason to isolate them in the future on a separate page. 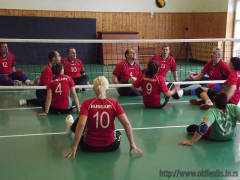 The main organizer of the competition fulfiled the desire expressed by both teams, and it was to match objectively three strongest teams to play in the final tournament. 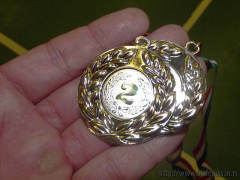 By the win in previous match we made the situation that the last game of the championship was deciding on the distribution of "gold" and "silver". We have already achieved great success, we took one step forward compared to the previous championship, we confirmed the success from the Cup from the beginning of this year, and this game was pretty rare opportunity for something more. It is likely that the opponents could come on the foot to this game in 5 minutes, unlike us who were already on the road in 3:30 after midnight and travelede four and a half hours. We could dig up some more small "exculpatories" for this match, but it is only fair and realistic is to say that the team of hosts was better! Always after a defeat we analyze "whether we were able to make it some better ..."? Somehow it always turns out the answer is "yes", but this time it was certainly not enough to make us winners. They are well coordinated, they are playing fast, they have a high block, a good concentration and two extraordinary players. Simply, this result is a real ratio of two teams quality and we wholeheartedly congratulate them the first place and the gold medal. We are taking this opportunity to thank once again to Mr.Mihályi András at understanding our problems, for the support, assistance and timely information. 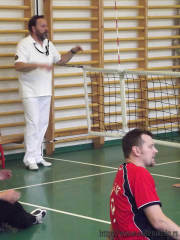 A.Mihályi was the already mentioned main organizer of the championship, but also the coach assistant of the Hungarian female national team and the webmaster of site www.ecvd.eu. At the end of the competition he said greetings to all participants, he declared winners and awarded medals. Mozdulj SE team - Champs for 2012. Squatting: Zavišin, Herceg, Setorić and Anđelov. 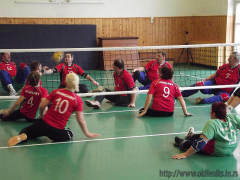 Tegeltija and Marić also took part in this competition, but were absent in Vác.